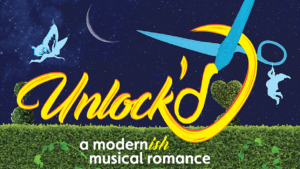 An innocent guy, new to the city, falls in love with his next door neighbor, whom he hears making love through the wall. But he’s not prepared for what happens when he finally sees her. 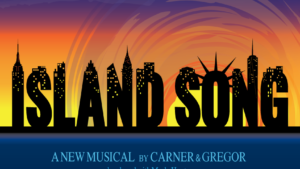 15+ Solos and Duets from ISLAND SONG. All sheet music accompanied by piano tracks and vocal plunk tracks. Three fairies think about the gnomes they love (one in secret) as they go on a quest underground. 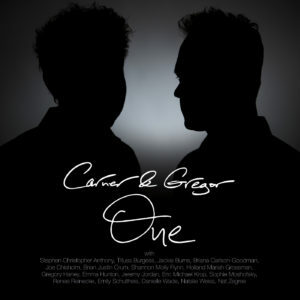 Check out our first album “Carner & Gregor One,” featuring tracks sung by Tituss Burgess, Jeremy Jordan, Natalie Weiss, Brian Justin Crum, and more! Guess What? Almost all sheet music comes with a free PIANO TRACK and VOCAL PLUNK TRACK! Once you complete your purchase, a download link to your music will be emailed to you within minutes. If you don’t receive your download email, check your spam folder and then contact us with any concerns.